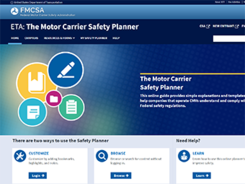 The Federal Motor Carrier Safety Administration’s Personal Conveyance webpage has been updated with Personal Conveyance Frequently Asked Questions. In response to questions received since the publication of the Personal Conveyance guidance on June 7, 2018, FMCSA has provided answers to a series of Frequently Asked Questions to assist the industry and law enforcement in the application of the guidance. Those questions can be found here. Additional questions can be sent to MCPSD@dot.gov. FMCSA will continue to answer questions and monitor them to determine if additional clarification is needed. The guidance clarifies that Personal Conveyance is the movement of a commercial motor vehicle (CMV) for personal use while off-duty and that a CMV may be used for personal conveyance even if it is laden, since the load is not being transported for the commercial benefit of the motor carrier at that time. 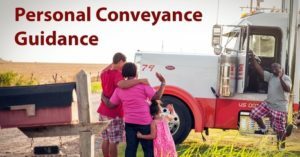 Personal conveyance does not reduce a driver’s or motor carrier’s responsibility to operate a CMV safely, and motor carriers can establish personal conveyance limitations either within the scope of, or more restrictive than, the guidance provided. For more information on personal conveyance visit the Personal Conveyance webpage.